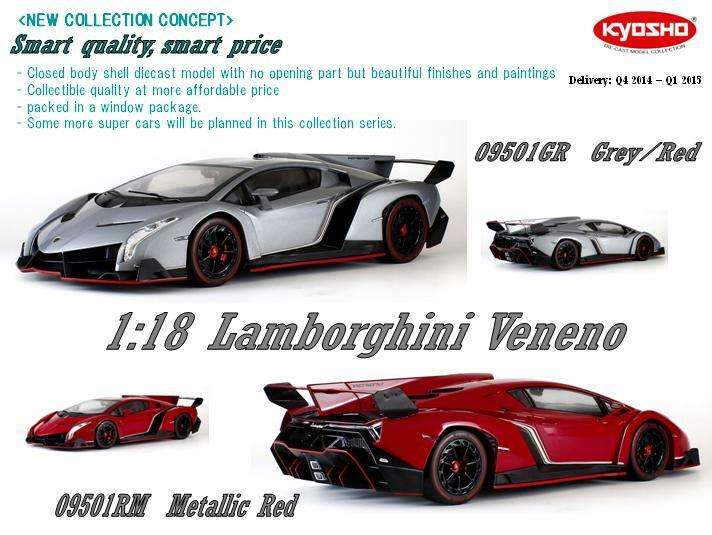 Kyosho is launching a new series of 1:18 sealed body diecast aimed at providing some high-appeal supercars at a more affordable price. 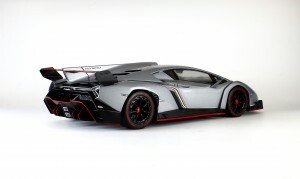 The Lamborghini Veneno will be the first, offered in metallic red or or grey with red highlights. 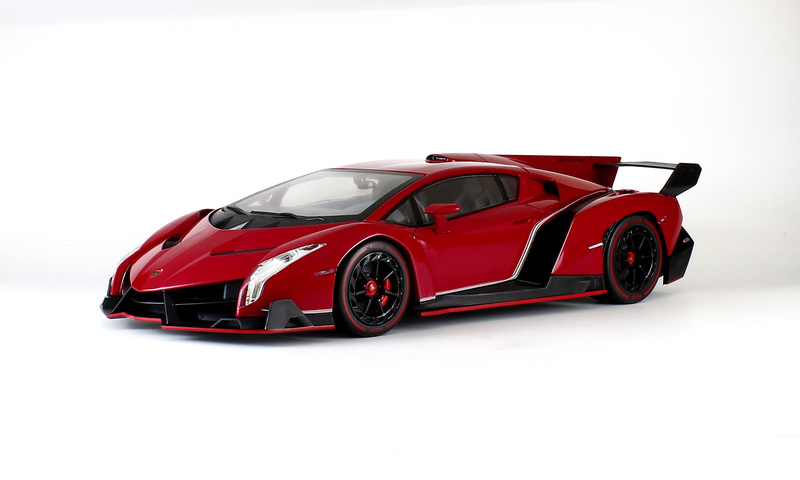 We don’t have much info on it yet, but expect the Veneno to arrive around the new year, priced below Kyosho’s traditional 1:18, and packaged in a more retail-friendly window box.